What do you give someone as a gift when they insist they have everything they need? Does this dilemma sound familiar? I’ve had this happen to me and it can leave you in a tough spot. On one hand you need a great gift, but on the other, you have no idea what that great gift should be. Maybe you should consider a different type of gift, such as an investment. But do investments make good gifts? Whether or not investments make good gifts may depend in part upon the age of the person receiving the gift. Older people, for example, may not appreciate an investment as a gift because they may not have enough time for the gift of an investment to grow. Conversely, a budget minded millennial may be perfectly happy to receive an investment as a gift. A young child, however, receiving an investment as a gift may not understand what they are really receiving and be unhappy that they did not receive a toy or electronic game of some sort. 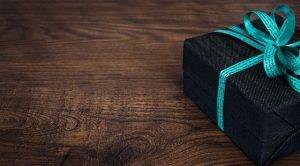 When determining if investments make good gifts or not, you may be wise to carefully consider the age of the recipient before you decide to give an investment as a gift. Another factor that may determine whether or not investments make good gifts is the type of investment. If you are considering a treasury bond you may or may not want to go ahead and purchase one when you think about the lengthy term and low rate of return they offer. In addition, do you want to choose the type of investment that makes the receiver work to track the growth of the gift over a long period of time? Perhaps you would want to use a robo-advisor to take the work out of it and automate the process so the investment feels more like a gift and less like work. As you ponder if investments do or do not make good gifts, consider there may be other ways to invest in someone’s future as an alternative. For instance, you could make an extra payment toward the receiver’s mortgage or add to their savings account or emergency account. You could also help them toward paying off their debt. These could also be ways to invest as a gift because you may enable the receiver to get out of debt quicker and begin investing themselves that much sooner. Of course, there is always the possibility the person receiving the gift will simply blow the extra money in their budget on something else. If that is the case, maybe the gift of an investment would be the better option. After all, giving an investment is kind of the gift that keeps giving when you consider the growth potential of the investment. I personally think the gift of an investment demonstrates to the receiver that you care about them and their future. However, after carefully considering whether or not investments make good gifts I think it comes down to the person receiving the gift. You should think about that person and their unique situation before you rush right out and purchase stock for them because they may or may not be happy with your choice of a gift. Do you think investments make good gifts?